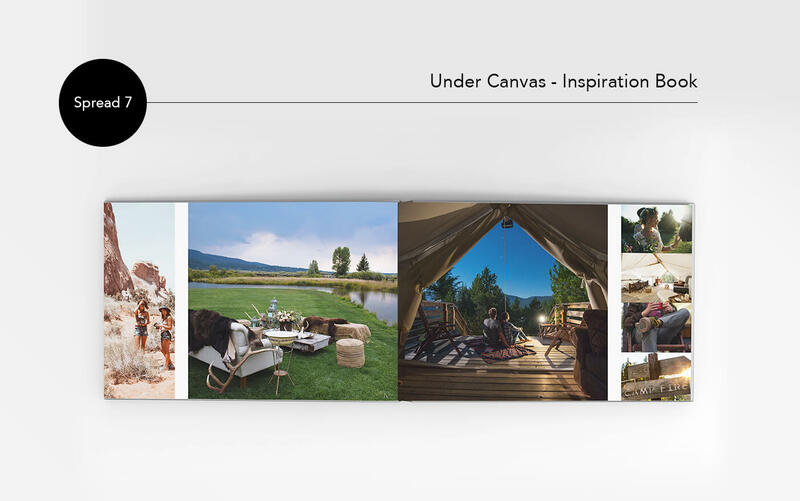 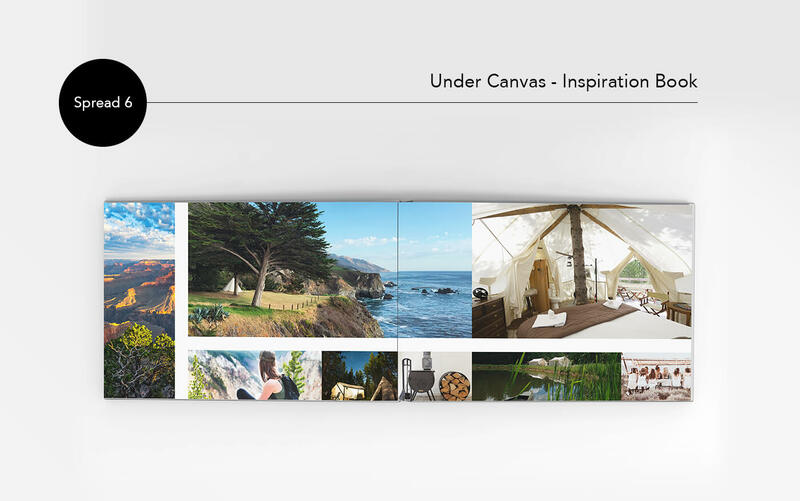 Under Canvas is a luxury camping brand providing their guests with restoration and inspiration. 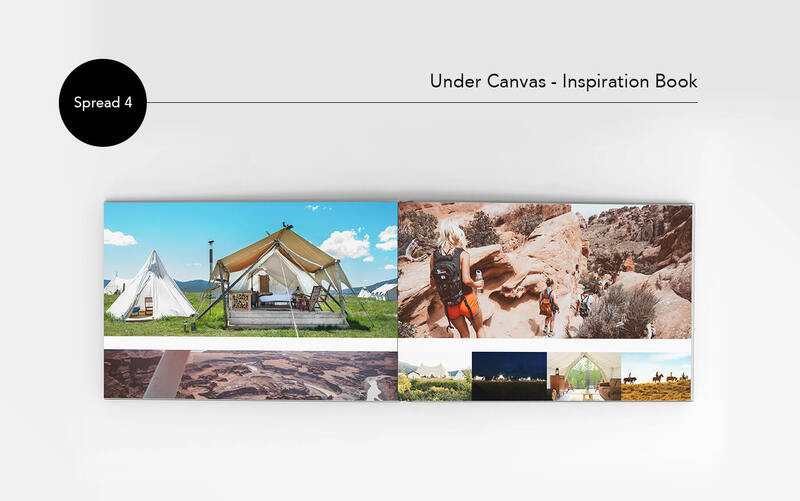 Through their camps, located at US national parks as well as a large number of events they participate in annually Under Canvas offer rustic and beautiful experiences. 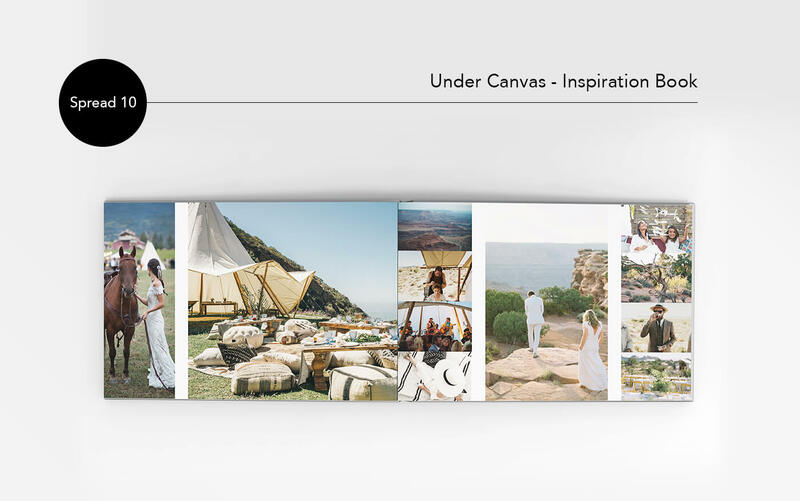 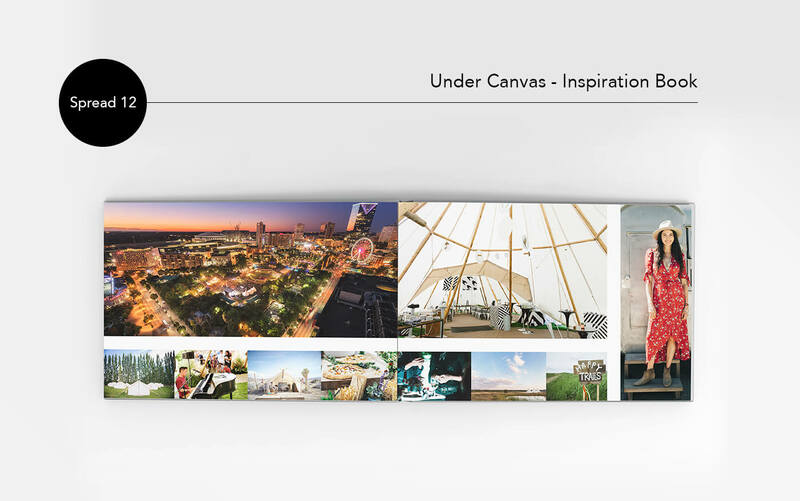 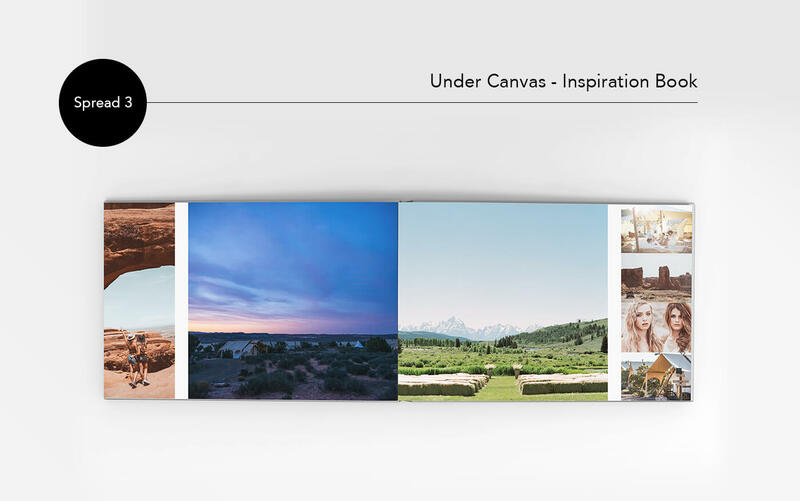 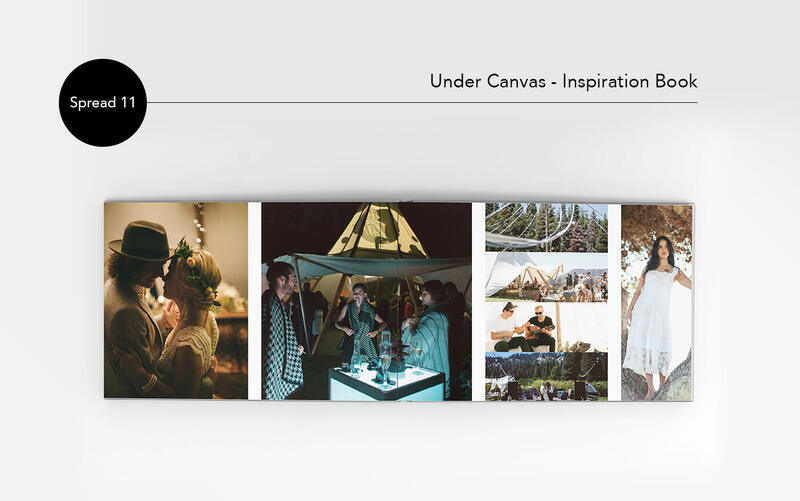 To showcase some of the many major events, weddings and vacation developments that Under canvas have been involved with in recent years, an inspiration book was needed. 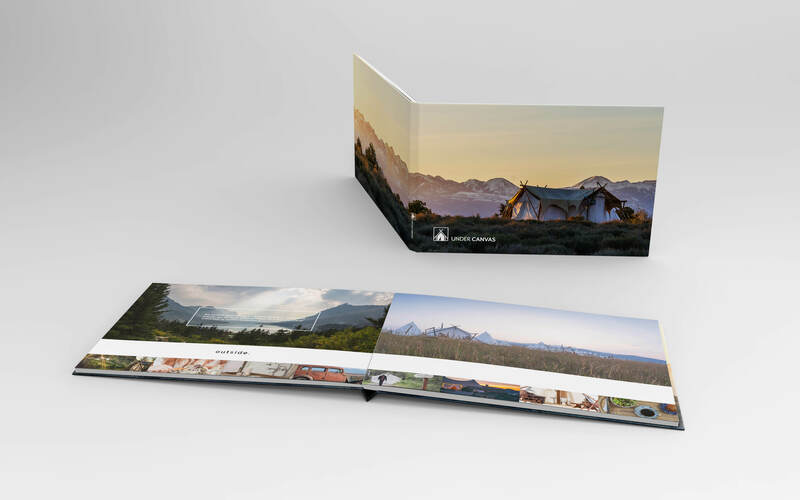 The lay-flat book was selected as this features pages that open fully, allowing full-spread layouts across two pages. 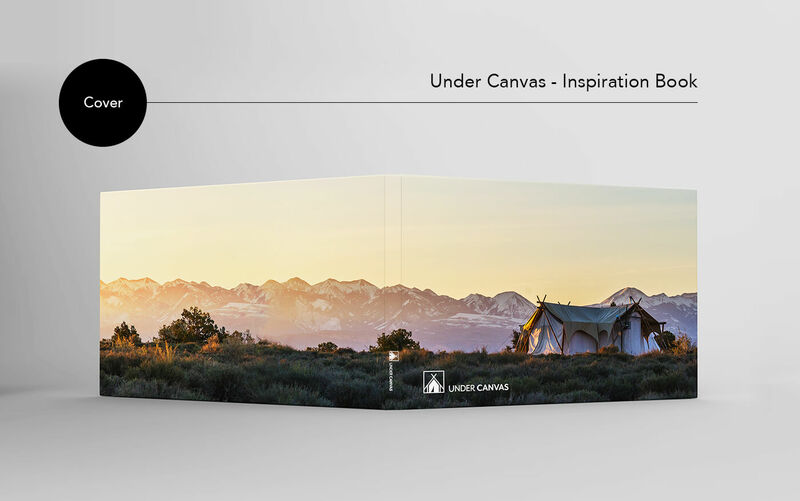 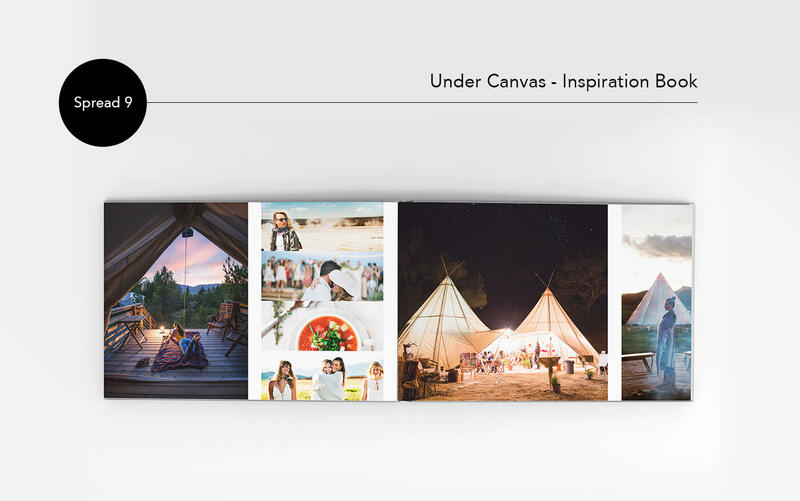 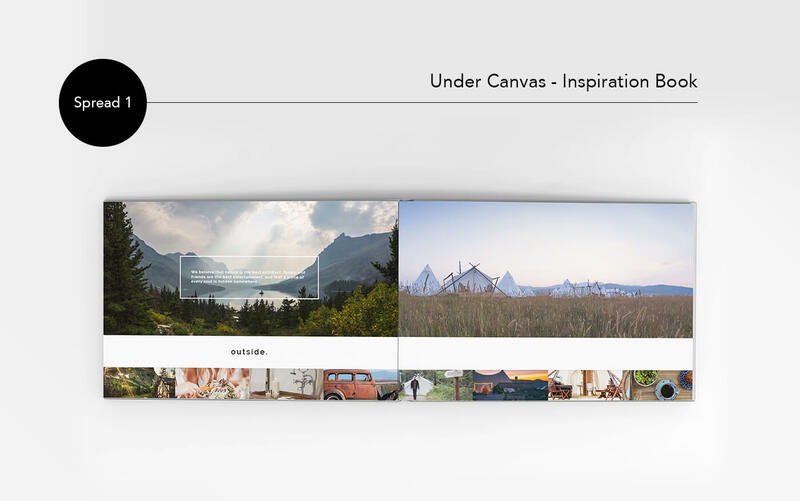 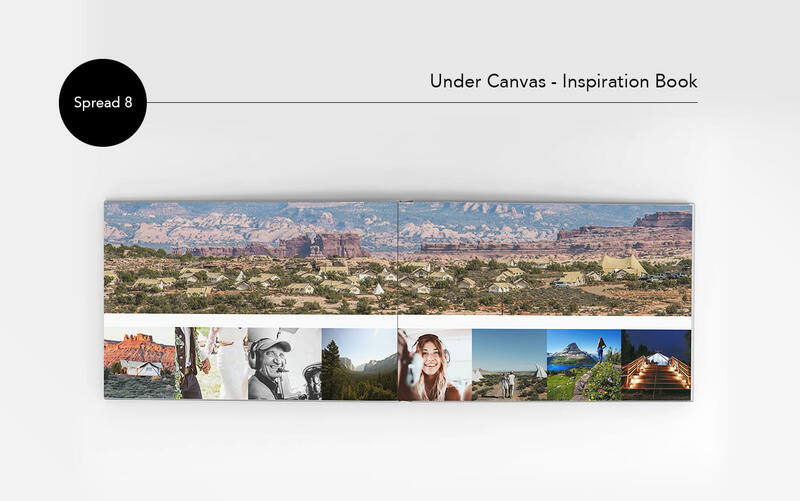 We designed the book to reflect the simplicity and elegance of the Under Canvas culture. 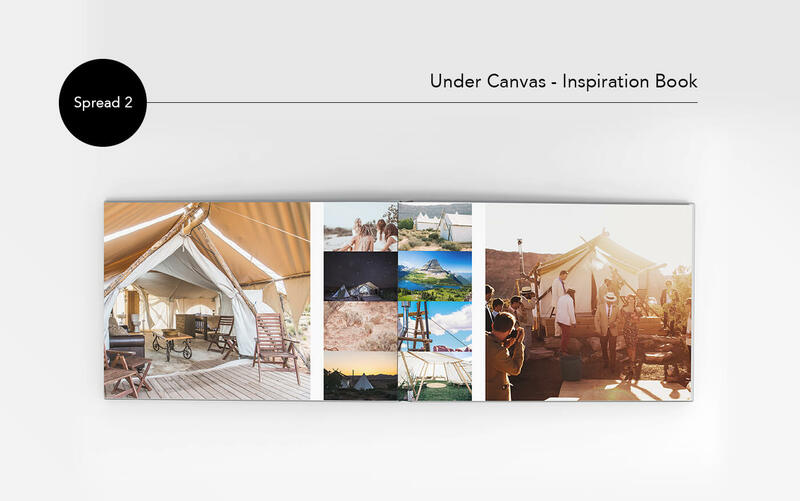 Photos were selected that work together to exemplify the feel of what they do across the variety of Under Canvas activities. 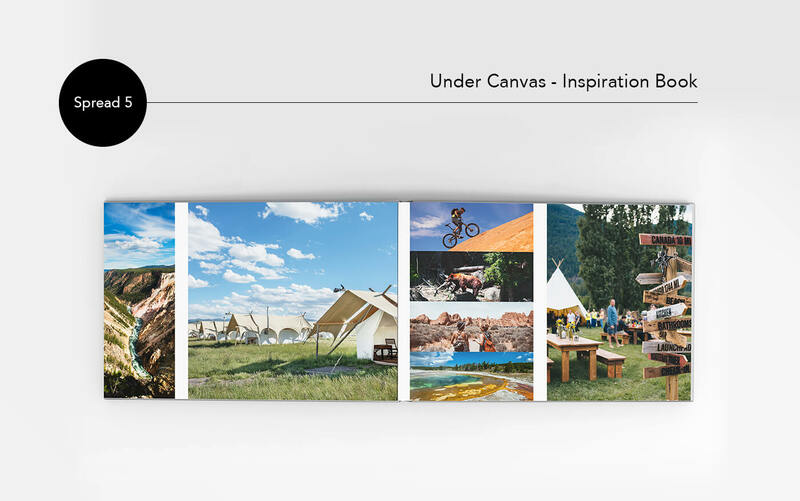 These book are ideal for providing further inspiration and ideas to guests of Under Canvas camps.